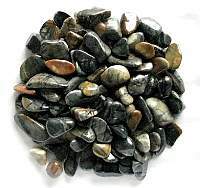 Bronzite Tumbled Stones is a protective, grounding mineral that is used to restore harmony and self confidence in situations where you feel overwhelmed or powerless. 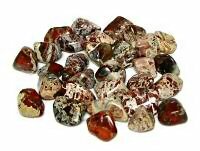 Bronzite crystal provides the courage to do and increases self esteem. 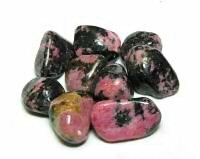 Bronzite is also believed to be effective against curses or ill wishes. 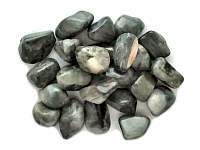 Bronzite stone is helpful for helping with certainty and with taking control of our actions. 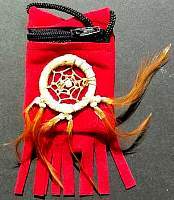 It can also help give us the ability to take control of our own lives. 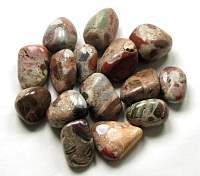 Since bronzite alleviates indecision, doubt and helps dispel uncertainty, Bronzite can be beneficial when making plans for the future and help us take necessary actions for our own benefit, while still being principled in our behavior. It is excellent for promoting change in a harmonious way. 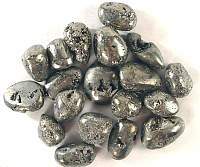 Bronzite is called a Stone of Courtesy because it inspires courtesy, help and acceptance. It encourages self-respect as well as respect for others in one's community. 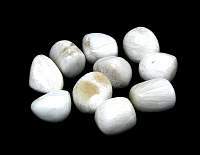 This stone promotes a willingness to contribute to the greater good and cultivate a sense of civic pride. 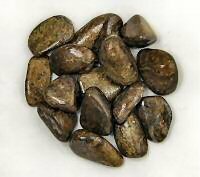 Bronzite is used in crystal healing for ailments, assimilation of iron, lessening muscular tension, dispelling restlessness caused by emotional and psycho-physical ailments. 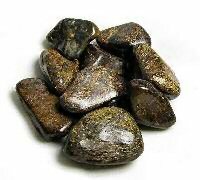 Bronzite is a deep golden brown with little bits of flash. 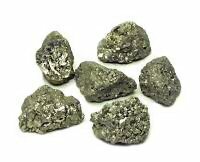 Bronzite is a variety of hypersthene, and is a silicate compound of magnesium and iron of the pyroxene family. 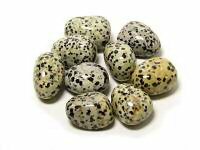 It is found in the USA, Austria, England, South Africa, India, Labrador, Norway, and Greenland. 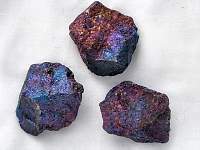 Bronzite is associated with the base and solar plexus chakras. The astrological signs are Leo and Libra. Shiny! 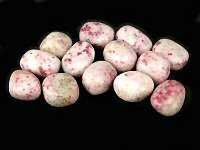 Much prettier than the pictures suggest. Feels ground ..